The Valve World Expo & Conference Asia 2015 was held on September 23 and 24 in the Suzhou International Expo Center in Suzhou, China. 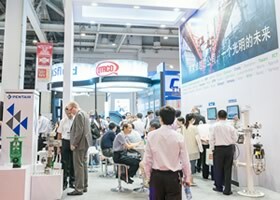 Following the huge success of past Valve World Expo's and Conferences, the Valve World Expo & Conference Asia 2015 promised to be a valuable meeting point for valve professionals from all over the world with a special emphasis on recent developments in China. Piping and valve professionals from the West & East updated their knowledge of valve applications in a variety of industries with a clear focus on the chemical, petrochemical, power generation, oil & gas and process industries. The event was bi-lingual and all presentations were simultaneously translated into Chinese and English. The combination of a content-focused, end-user driven conference, social programs, Master Class, and a hands-on exhibition will offer a unique international platform for content and business. For more information about Valve World Asia 2015, please contact our team.